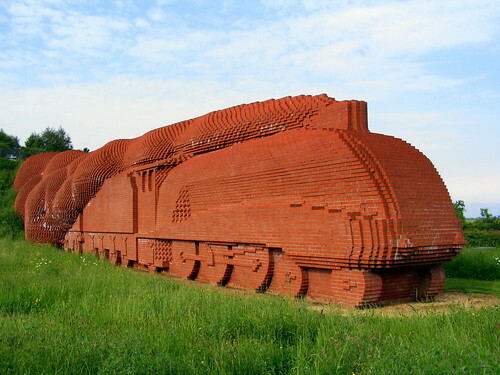 Here is a strange full sized Brick Locomotive sculpture outside Darlington, Durham County, England. This unusual sculpture built in June 1997 is modelled after the famous Mallard steam locomotive of London and North Eastern Railway, the holder of the World Speed Record for steam locomotives at 125.88 mph (202.58 km/h). 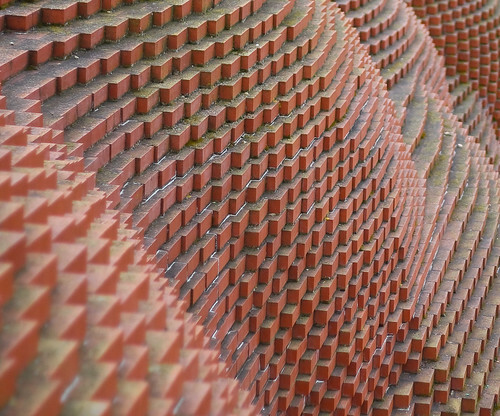 Designed by sculptor David Mach the sculpture, which is hollow, is 7 metres (~23 ft) high by 39.6 metres (~130 ft) long and is made of 185,000 bricks along with 170 cubic meters of concrete. The train weighs 15,000 tonnes and covers an area of 600 sq meters. Reportedly it cost 760,000 GBP. 'Time Capsules' donated by local schools is buried inside the sculpture and in addition it has 20 special 'bat' bricks placed at various for use by these nocturnal creatures. There is a platform at the back through which one can reach top of the locomotive. 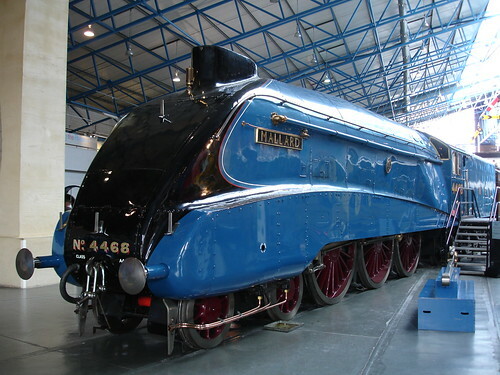 Original Mallard - The record holder for World's fastest steam engine. Credits: Kite_surfer whose post entitled 'Stone Choochoo' in Google Earth Community brought this unusual sculpture to my knowledge. Thank you Kite - it was fun solving your quiz.